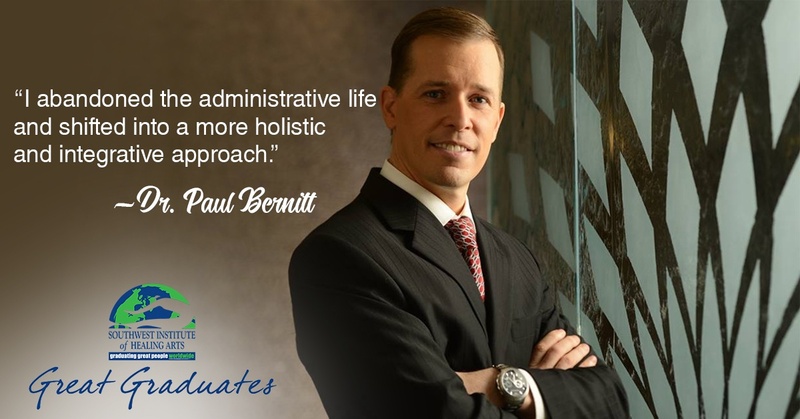 Dr. Paul Bernitt, a Board Certified Doctor of Holistic Health and founding member of Trivita Clinic of Integrative Medicine in Scottsdale, has worked in a wide variety of health care entities including long-term care, OB/GYN, children’s hospitals and family medicine since 1998. In a turn of fate, Dr. Bernitt fell ill. He was diagnosed with metabolic syndrome and, at age thirty-six, was already experiencing atherosclerosis, a hardening of the arteries. The traditional allopathic doctors he spoke with told him that he would have to reduce sugars and carbohydrates from his diet, increase his physical activity and that he would need to take medications to help him manage his condition. Natalie McGovern is Following Her Bliss—And So Can You! Desperate for a change, Tory booked a space on a yoga retreat in the Bahamas, where she was introduced to meditation. While she found the demand of being totally present painful, it was exactly the spark she needed to start pursuing a new way of life. It was time to conquer her anxiety and food obsession once and for all. Reine Matthews is a SWIHA graduate both doing great things and writing great things! Her first book, Thriving After Diagnosis: Instead of Merely Surviving, was just published… and she is already working on a second! 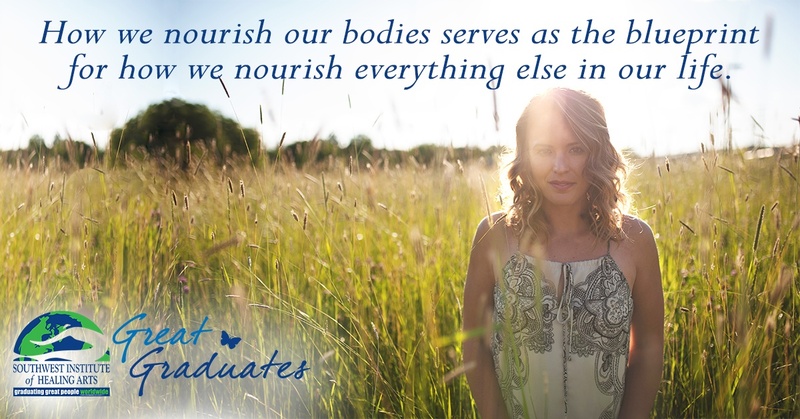 Hailing from Northern Idaho, Reine received an AOS Degree in Mind Body Transformational Psychology from SWIHA, with concentrations in Holistic Nutrition and Wellness, Life Coaching, and Urban Farming and Conscious Living. Reine chose to get into the field of holistic wellness because of her personal journey of being diagnosed with (and thriving beyond!) Lyme Disease. According to the CDC, Lyme disease is the fastest growing vector-borne, infectious disease in the United States, with 25,000 new cases being reported every month for an estimated 300,000 new people being affected per year (25% of which are children). This illness is typically transmitted through a bite from an infected deer tick and has been reported in all 50 states and on every continent, excluding Antarctica. 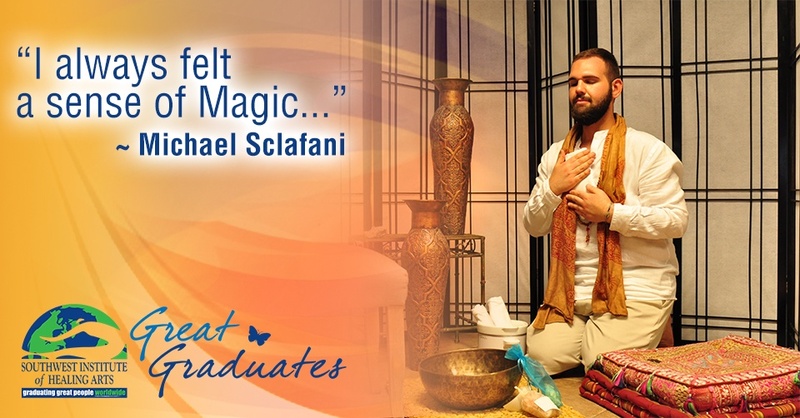 Michael Sclafani had always known he was into the mystical arts. While growing up in New York and attending Catholic school from pre-school through seventh grade, this passion always made him feel like an outsider. “I liked going to church and singing in the hallways, and I was also the kid with the Ouija board out at recess,” he says. “I always felt a sense of Magic.” His first real entrance into the world of the mystical was when one of his mom’s friends left her tarot deck at their house when he was 10 years old. Maureen Ihle: A Cancer Survivor Finding Purpose through Holistic Nutrition, Wellness, and More! 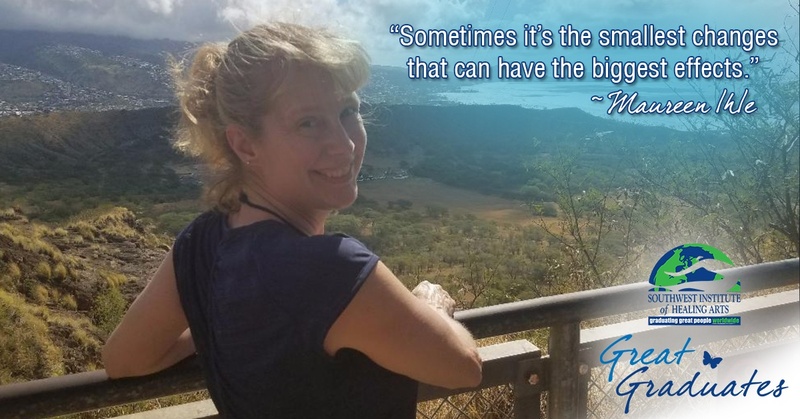 Maureen Ihle has always been dedicated to helping people, and yet it wasn’t until she enrolled at SWIHA that she realized that doing so was her life’s purpose (INSERT: www.blog.swiha.edu/life-coaching-corner-are-you-brave-enough-to-be-an-entrepreneur). Maureen shared that before she firmly found her path at SWIHA, she was struggling both personally and professionally. It took clearing away some of those personal cobwebs to ultimately see where her path was leading her. How Lisa Kaiser is Using Urban Farming Practices to Go "Off the Grid"
High in the mountains of Northern Arizona, in a little town called Pinedale (population: 588), you’ll find SWIHA graduate Lisa Kaiser carving out her dream of a self-sustaining community. 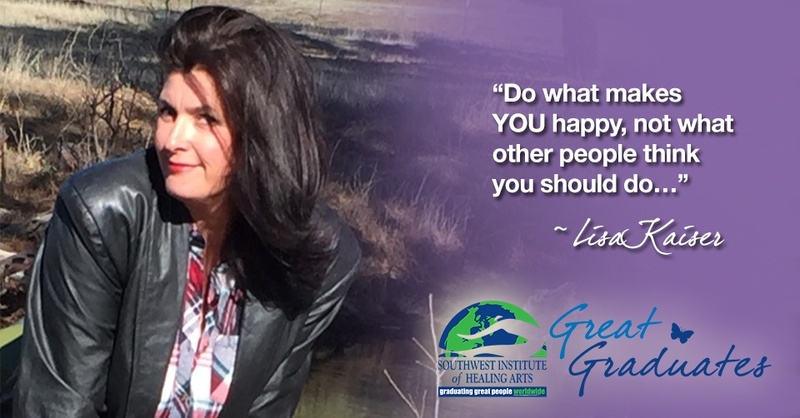 In 2015, Lisa graduated from Southwest Institute of Healing Arts with a degree in Mind-Body Transformational Psychology and a diploma in the Mind-Body Wellness Practitioner program. The focus on body energy work, Ayurveda, aromatherapy, urban farming, raw food preparation—as well as the tools and support she got from entrepreneurial classes—provided the foundation of success that led to the beginning of Lisa building her dream. 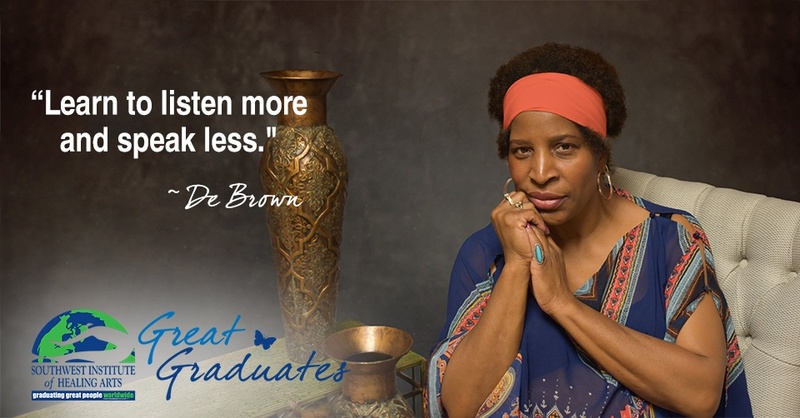 Before attending SWIHA, Deborah Brown was a professional college student in Maryland, a Community Health and Wellness Facilitator, and a Minister. After going through what she refers to as a “Damascus experience,” she felt a calling to seek something bigger— the pursuit of the “missing piece” keeping her from delivering her gifts to the public. While Deborah had served as an entrepreneur in various shapes and forms for most of her adult life, the business journey had not always been completely satisfying for her. 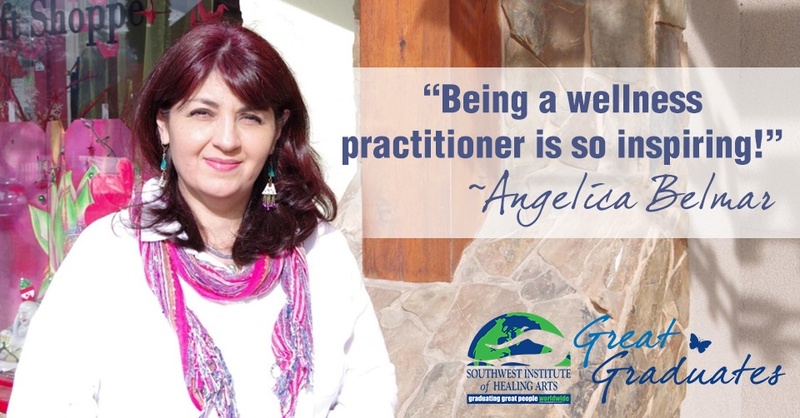 She had always had SWIHA in her sights, originally in the form of the Natural Aesthetics program at SWINA; however, Spirit had other plans for her and led her to the Mind Body Transformational Psychology Degree Program at SWIHA, where she would learn how to serve as a holistic healer and entrepreneur. “The Mind Body Transformational Psychology Degree called out to my Spirit because it had the components to feed me and fine tune my life's work in Ministry, Health and Wellness, Spirituality, and Entrepreneurship, as well as foster my leadership qualities,” says Deborah.